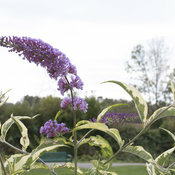 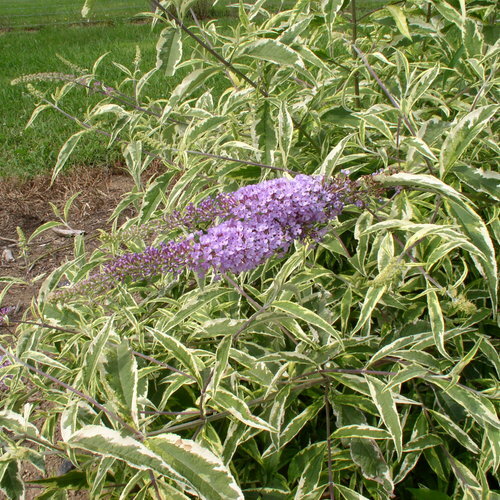 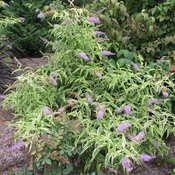 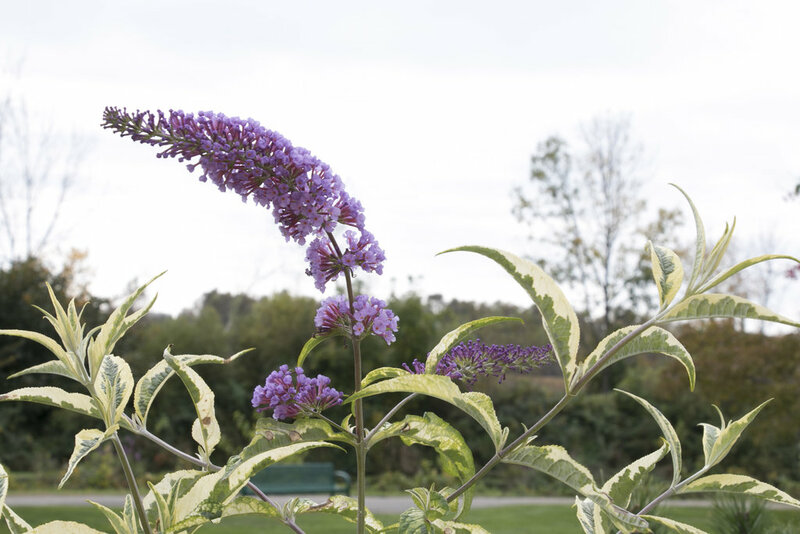 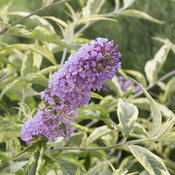 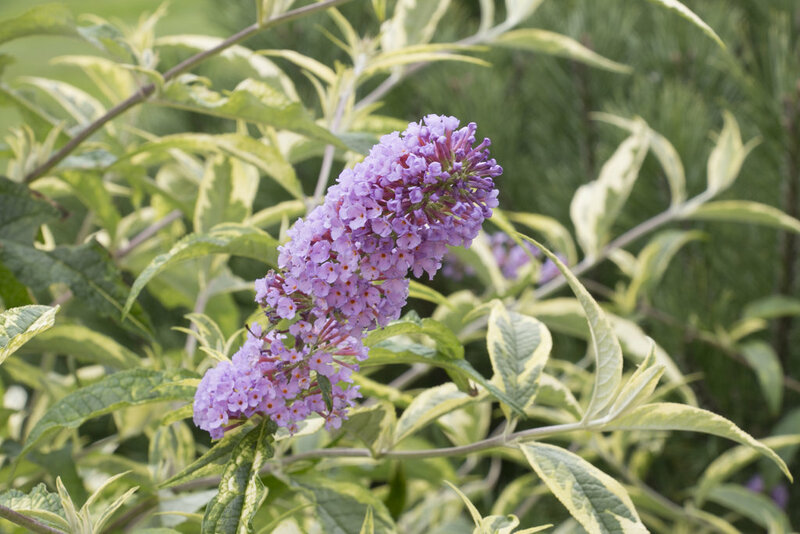 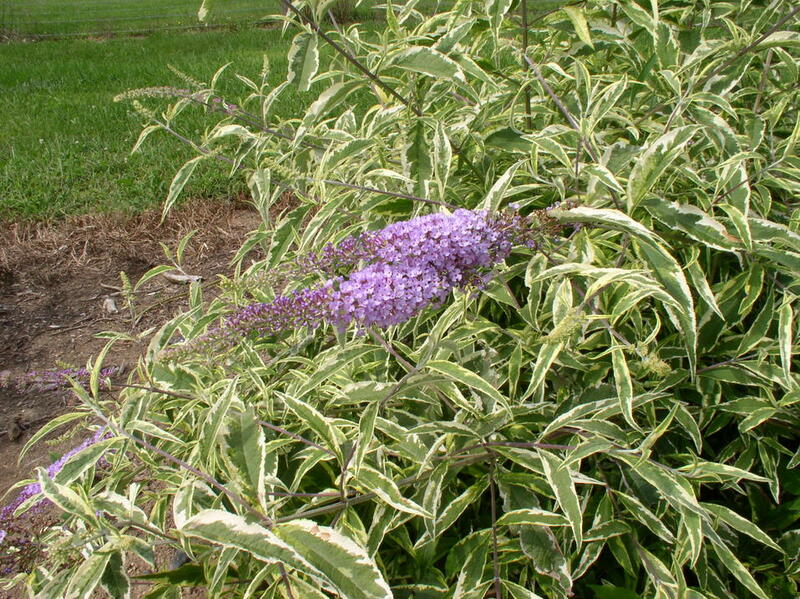 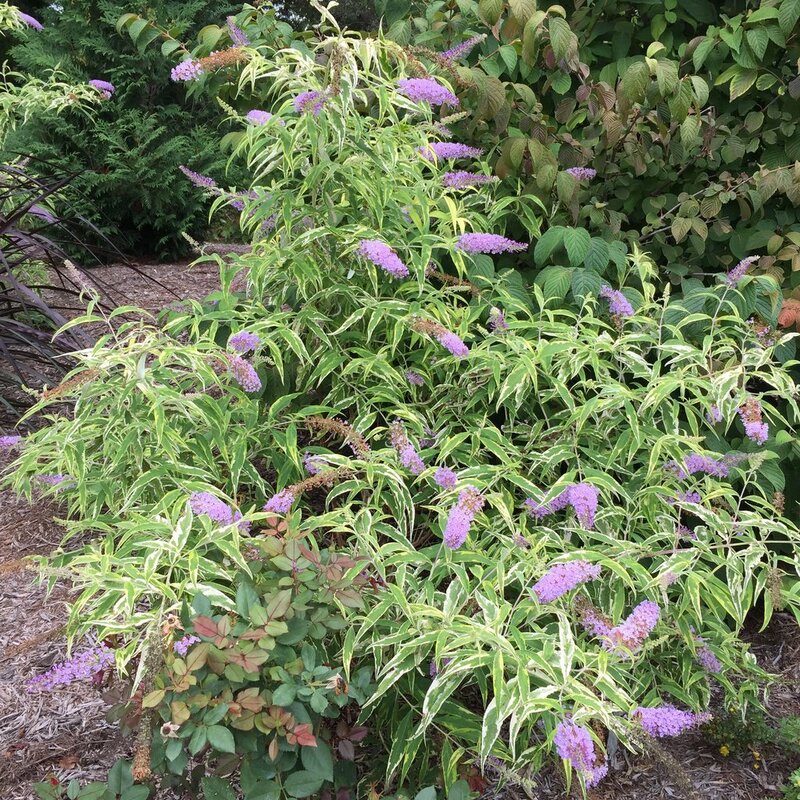 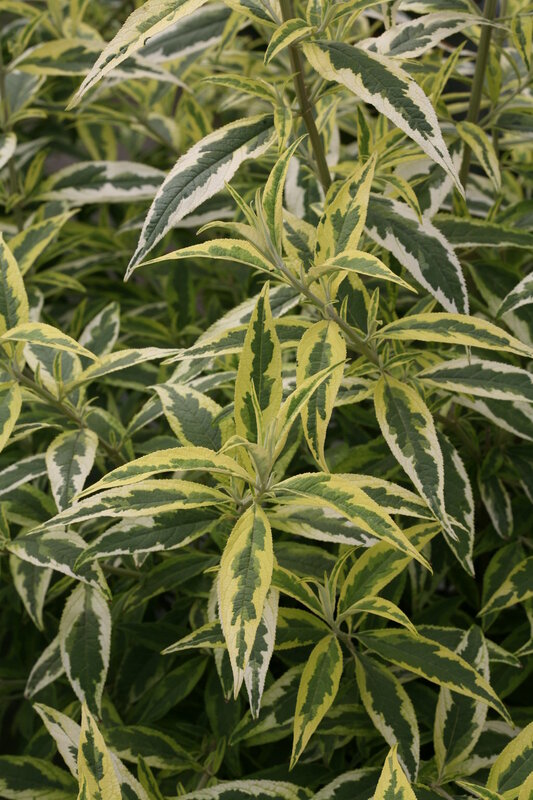 Despite its purple flowers, this splashy variegated butterfly bush is not for shrinking violets. 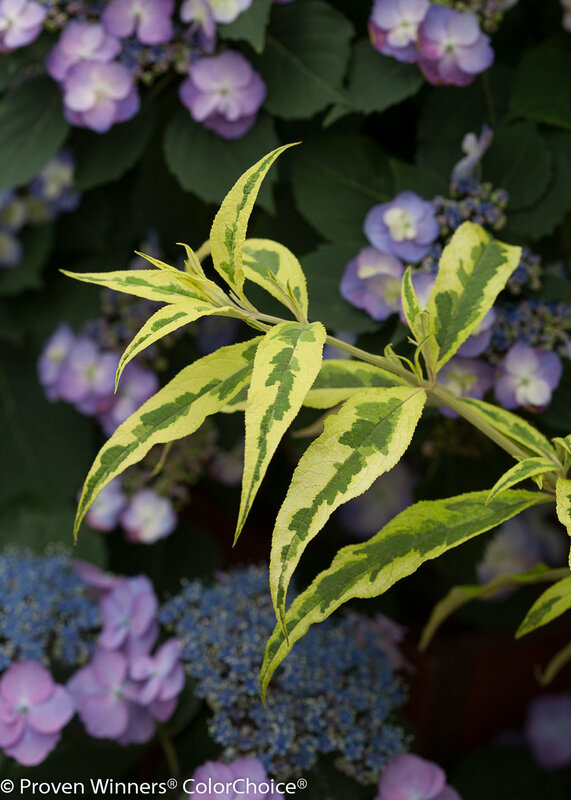 Colorful foliage is very attention-getting and adds an unforgettably bold accent to your landscape from spring through frost. 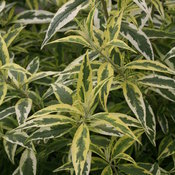 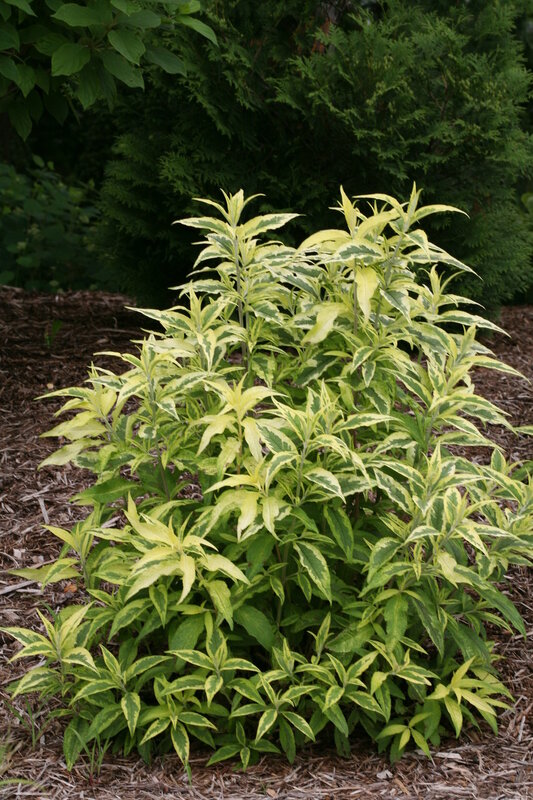 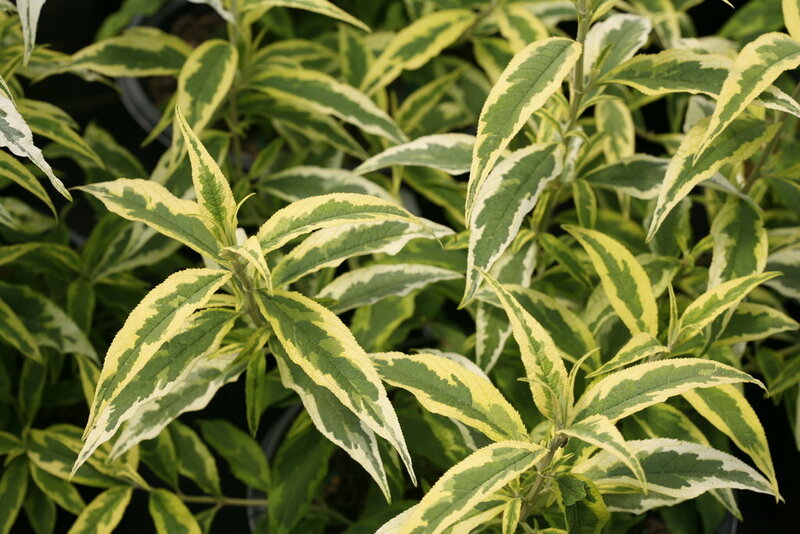 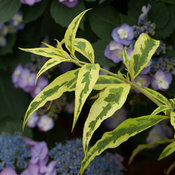 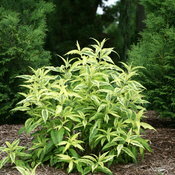 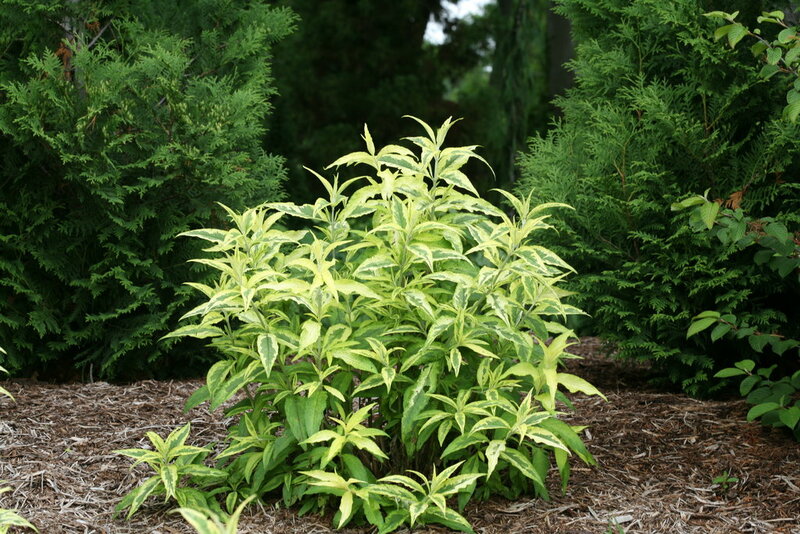 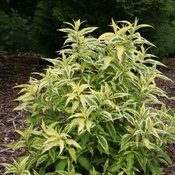 The yellow and green variegation does not burn, even in full sun and is accented with purple flowers through the summer. 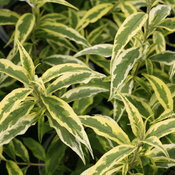 A showy accent plant for mixed borders and perennial beds - or try it in a container mixed with colorful summer annuals.